What do we want? 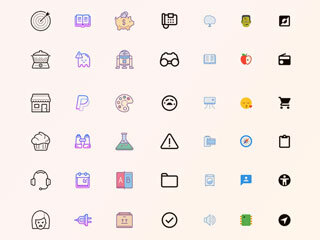 Thousands of icons! When do we want them? Now and forever! Designers, developers, and business owners, this one's for you. Get lifetime access to Icons8 for $49 at Escapist Deals. Icons8 is an incredible library of 54,000 icons and counting - 7,000-10,000 are added every year. That means an icon for pretty much everything you could possible need - you'll find categories like social media, business, city, clothing, food, holidays, and more, in any format, size, and color. Simple search or browse for your web, Mac, or Windows icon, choose the format, and drag and drop to Sketch, Photoshop, and more. You can even get a code to embed them right into your HTML. And since Icons8 works closely with UI designers and developers, you can be sure they're constantly working to help get you what you need. Get lifetime access to Icons8 for $49 at Escapist Deals.